Signal Centers is hosting its fifth annual Grapes on the Green Wine Tasting Thursday, April 20 from 5:30-7:30 p.m., rain or shine. All proceeds will benefit Signal Centers’ programming. The event costs $25 per person, which includes samples of first-rate red and white wines from Athens Distributing Company, as well as appetizers. The evening also features door prizes, a silent auction, an art showcase and more. To sponsor the event or for more information, contact Debby Frederes at 698-8528, ext. 700. Tickets may be purchased online at signalcenters.org/giving/grapes-on-the-green. A new building recently added to Signal Centers' campus on Germantown Road means more space and services for those with special needs who rely on the nonprofit. And it makes for a good start for another 60 years of service to the community. 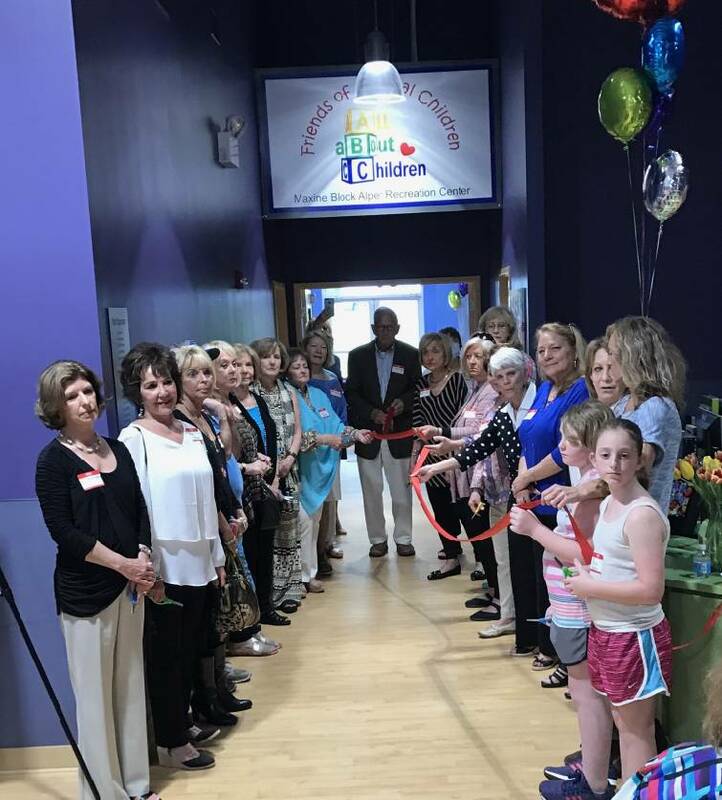 After three years of planning and preparation, the March 30 unveiling of Signal Centers' new Life Activity Building happened to coincide with the nonprofit's 60th anniversary. The addition brings a recreation room for preschool children, an assistive technology center, classrooms for students transitioning from high school to adulthood, and more, to Signal Centers' offerings. The nonprofit provides help to children, adults and families with special needs, offering assistance throughout all stages of life, from educational and therapeutic services for children to skills training and support services for adults. Judy St. Charles, Signal Centers' president-elect of the board of directors and chair of the Endowment Committee, was involved in both the fundraising and overall design of the new building. "We wanted a structure [for our adult services] built on campus to embellish that part of the lot," she said. "The main criteria [was] just to make it a beautiful, fun space for everybody." St. Charles said the building couldn't have become a reality without the Friends of Special Children, which helped with the necessary fundraising. "Friends of Special Children assisted us in our campaign. They always wanted a recreation room for the preschool children when the weather is inclement," St. Charles said. Signal Centers is located at 109 N. Germantown Road. Visit signalcenters.org to learn more about its services.